Olivera Medenica is a member of Dunnington’s intellectual property, advertising, art and fashion law, international, and litigation and arbitration practice areas with almost two decades of experience advising domestic and foreign businesses in fashion, retail, media and entertainment on transactional, litigation and arbitration matters. 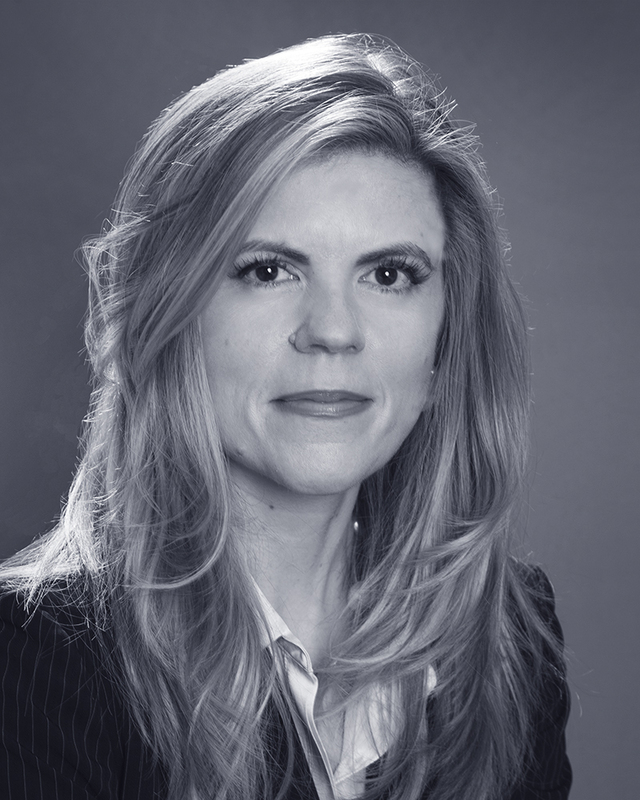 Prior to joining Dunnington, Ms. Medenica was a law clerk to the Honorable Evan J. Wallach at the U.S. Court of International Trade. She subsequently practiced for fifteen years at boutique intellectual property firms in New York City. Ms. Medenica regularly counsels on trademark, copyright, intellectual property licensing and online/social media matters. Litigation counseling includes copyright and trademark infringement, trade secrets, unfair competition, breach of contract, fraud, right of publicity and privacy, defamation, and shareholder and business owner disputes in closely held businesses. Trademark practice includes counseling on risk evaluation for trademark use and registration, registering, prosecuting, policing, enforcing and maintaining a national and international trademark portfolio, together with representing clients before the U.S. Trademark Trial and Appeal Board. She represents the National Endowment for the Arts on intellectual property matters. Artist Blend Films v. Lightyear Entertainment (N.Y. Supreme Court): obtained and enforced judgment for film owner against film distributor delinquent in royalty payments. IDT v. Unlimited Recharge (N.J. District Court): defeated TRO and preliminary injunction in copyright and trademark infringement matter against telecommunication competitor, and obtained dismissal of majority of claims. Owrutzky v. Latin Quarters (N.Y. Supreme Court): obtained dismissal of all claims in shareholder lawsuit against defendant nightclub owner. In re Bertina J. (N.D. California): obtained order pursuant to 28 USC 1782 to unmask author of anonymous blog posting for use in Swiss civil and criminal proceedings. Stone Column v. Beogradska Banka v. Stone Column (N.Y. Supreme Court): obtained order for judicial notice of Cyprus law for application to foreign power of attorney. Legal Bootcamp for Web 3.0, Speaker,Oct. 2011, Geek-End/Digital Marketing Association, Boston, Massachusetts. Reconciling YouTube and Grokster: Business Models for Web 3.0, Speaker, March 2011, SXSW, Austin, Texas. Ms. Medenica has also written articles for a variety of publications including the New York Law Journal (“Justice is an Evolving Discourse”), National Law Journal (“Fashion Copyright Bill Analysis”), Ecommerce Law and Strategy (“Advising e-Commerce Business Startups: Beyond the Crib Sheet”), Brooklyn Journal of International Law, Cardozo Arts and Entertainment Law Journal (“Does Liability Enhance Credibility? :Lessons from the DMCA Applied to Online Defamation”), and Loyola of Los Angeles International and Comparative Law Review and the Internet Law Journal (“The Immutable Tort of Cyber-Defamation”). She also co-authored the American Bar Association’s Legal Guide to Fashion Design, and Thomson Reuters’ Aspatore, Inside the Minds, 2015 Edition of Navigating Fashion Law. Ms. Medenica is an Advisory Board Member of the New York Law School Innovation Center for Law and Technology, Fashion Law Initiative. She is also the founder of an annual Fashion Law Conference hosted by the Federal Bar Association, in New York and Paris featured in the Huffington Post, Forbes and Intellectual Property Watch. She serves as Second Circuit Vice President of the Federal Bar Association, having served as President of the Southern District of New York Chapter (2014-2015). She served on the Board of Directors of the New York County Lawyers’ Association Board of Directors (2009-2012), and chaired its Entertainment, Media, Intellectual Property and Sports Section. Admissions: New York and New Jersey, the U.S. District Courts for the Southern and Eastern Districts of New York, U.S. Court of Appeals for the Second Circuit, and the U.S. Supreme Court. Federal Clerkship: Honorable Evan J. Wallach, Court of International Trade (2001-2003). Degrees: Manhattan School of Music (Bachelor of Music), Brooklyn Law School (J.D.). Languages: French (fluent) and Serbo-Croatian (fluent).